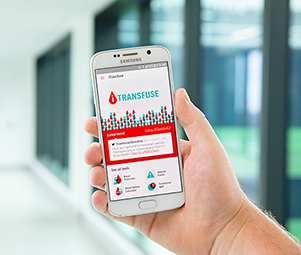 Transfusion Policy and Education is proud to have launched the iTransfuse App which has been designed to support bedside transfusion practice. As the first of its kind in the world, this innovative app will complement the existing range of resources for everything you need to know about blood and transfusion at any stage of career. The iTransfuse App promotes safe, appropriate and evidence-based transfusion by providing bedside access to transfusion education tools and resources. It includes information to support the prescription of red cells and platelets, diagnostic information about transfusion reactions, and much more. The app was developed following extensive consultation with junior medical officers (JMOs) to find out what tools would be best suited to their needs. Download iTransfuse from the App Store or Google Play. Have you used any of the above resources before? What do you intend to use the above resources for?